ISLAMABAD – Diplomats from Afghanistan, Pakistan, China and the United States have begun a new round of four-way discussions in Kabul amid expectations the delegates will set a date and venue for the direct peace talks the Afghan government wants to conduct with the Taliban.In a speech to the delegates Tuesday, Afghan Foreign Minister Salahuddin Rabbani reiterated the call for the Taliban, the Hizb-e-Islamic, and other armed factions to join the talks. He said that the four-nation group has already prepared a “framework or road map” for peace talks and hoped Tuesday’s meeting will be able to ascertain and propose details such as date and venue for direct negotiations with the Taliban before the end of this month. The Taliban, however, has not yet indicated whether it intends to join the peace process. Instead the Taliban has intensified its insurgent activities and extended its control or influence to an estimated 30 percent Afghan territory over the past year. 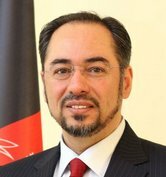 Minister Rabbani emphasized the need for a “considerable reduction” in insurgent violence among other confidence building measures, saying it will help “our peace efforts to succeed.” He again warned that Afghan security forces are ready to deal with Taliban factions who refuse to join peace talks and continue to commit bloodshed in the country. While the Taliban has not immediately commented on Afghan Foreign Minister Rabbani’s latest offer of peace talks, the head of Hizb-e-Islami’s political wing, Ghairat Baheer, told VOA his group is considering Kabul’s offer. “We are seriously discussing it and considering it. Our preference is that Afghans should be allowed to settle their own problems by themselves without foreign intervention and foreign mediation. But since the new situation emerged so we will be considering it again,” Baheer told VOA. Hizb-e-Islami is the country’s second largest insurgent group. A Taliban spokesman when contacted by VOA would not directly comment on Rabbani’s call for the group to join the peace process and referred to its stated public position that calls for among other steps withdrawal of all international forces from Afghanistan before starting any peace process. The United Nations says the Afghan conflict continues to hurt more and more civilians and documented record levels of more than 11-thousand civilian casualties, including dead and wounded in 2015. UN Afghan mission’s chief Nicholas Haysom while releasing details of the civilian casualties earlier this week emphasized the need for a political settlement to bring an end to sufferings of non-combatants in Afghanistan. “Without peace there is very low prospect of dealing not only with civilian casualties but an improvement in the quality of life and in the economic opportunities of the nation,” said Haysom. Separately, Afghan President Ashraf Ghani appointed and introduced the new head of the High Peace Council tasked to persuade armed groups to end violence and join the national political reconciliation process. The council’s new chief, Pir Sayed Ahmad Gilani, is a prominent Afghan jihadi leader who enjoys respect among the tribes across Afghanistan. Former President Hamid Karzai set up the council in 2010 for assisting the government in its efforts to promote peace and reconciliation with armed opposition groups. But the panel, which consists of prominent Afghan religious and political as well as jihadi personalities, has so far failed to achieve any significant breakthrough amid growing demands for the council’s dissolution to save critical state financial resources. are committing heinous crimes under the command of one unified squad. *. STOP THE RATS !